Coach Moe, owner of the Shockers, is taking 2011 off to help with En Fuego Baseball. 2010 Shockers Baseball Club makes it to the final game. Shockers were undefeated for the first 4 rounds. Connie Mack is done on a draw system. The system allows for byes in each of the first 4 rounds. The other rules are: you can not play a team you have already played, and if you have played every one then you must draw from the remaining teams to see who you play. Shockers beat all the teams through the initial rounds. Since there were only teams that we had defeated we drew. Puget Sound Roxx, last years World Series Winner Babe Ruth, Shockers had won the first game 8-2. Shockers lost the draw game 8-1. That left Toyota and Roxx who had not played. Roxx defeated Toyota 4-3. Championship Game. Roxx defeated Shockers 4-3. Please click on “Catching Camp” for details. Former Tampa Bay Rays Associate Scout, Northern California. All team catchers no matter what level or affiliation are accepted. Fundamentals as well as advanced instruction depending on experience Ages 12 and up only please, (some exceptions made on age). Click on Catching Camp to register. This years 18U team will made up of players from the west coast. Private tryouts are a available upon request. In depth evaulations, honesty with players and parents. 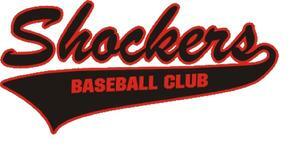 Shockers provides comprehensive training in hitting, pitching and field play. Under the direction of former San Francisco Giants Scout, Don Moe Sr. Under the guidance of Coach Moe 97% of the Shocker Players have gone on to play college baseball. This will be Coach Moe’s 19th season. Don Moe Sr was selected to help coach the SF Giants Scout team for the 2008, 2009 Mariners Cup. Congratulations to him on his success! Representing Washington at Connie Mack Regionals, 2002, 2003, 2004, and 2005, and 2010.
club is college prep and a showcase for Professional Scouts. players have to be willing to do what it takes to succeed. organization expects the players to learn how to do it “all”. The lack of management of time is the first step in failure at college. Since 1995 97% of all Shockers have moved on to play college baseball. Head Coach of the Shockers for 19 seasons. 11 ties in the 17 seasons under Coach Moe. Don has two children and four grandchildren. be coaching the catchers and helping with the pitchers. Don played at Mendocino CC and Sonoma State Division II. Don coached at Mendocino College (catchers and pitchers). associate scout. Don is married and has one child. have comments or questions please click on the Contact Us. Thanks for visiting and see you on the yard.